It's time to celebrate a sweet baby boy on the way! 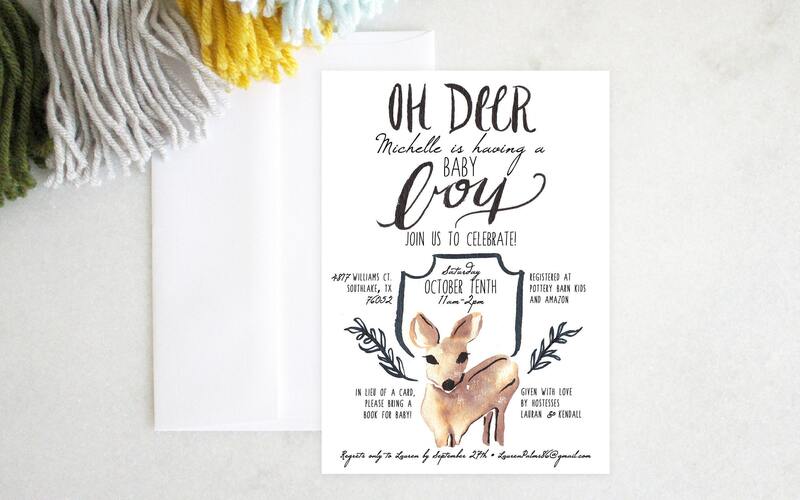 This 'oh deer' invite is playful and curious, and rustic. 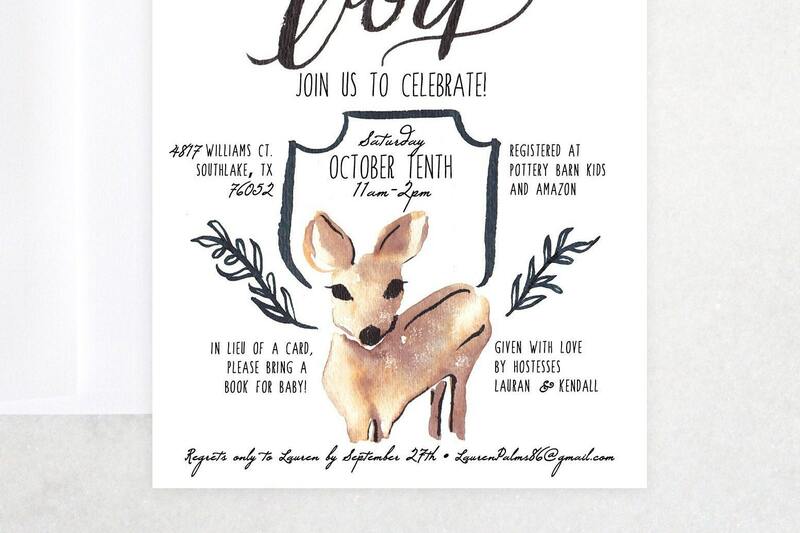 Ideal for your woodland animal theme!